What Do Hospital Staff and School Children Have in Common? The answer is of course, that they make too much noise. Unfortunately imploring them to be quiet rarely results in the desired response, and I’m told that telling people to shut up is not acceptable behavior in polite society (damn society). 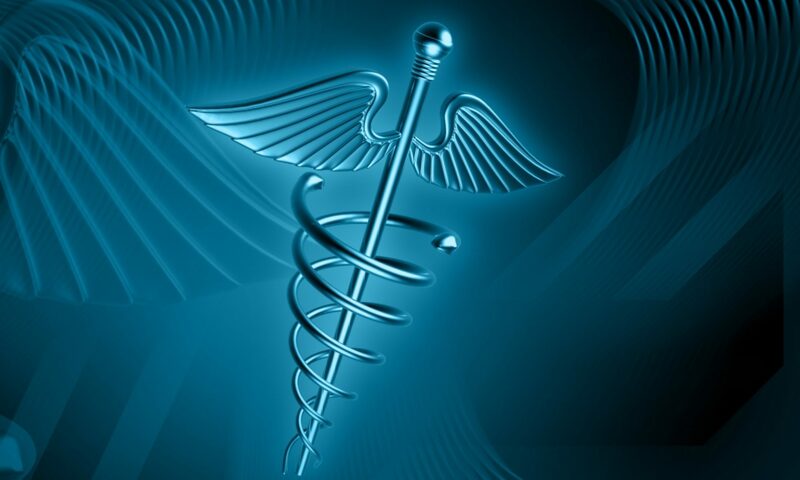 Anyone who has worked or stayed in a hospital knows that, of the various calamities that may befall one during their hospital stay, a good nights rest is rarely among them. Noise levels in hospitals can be so high that they rival noise levels at a rock concert, about 113 decibels in one study. In that particular study nurses slept in the hospital over night, and found that they had a particularly difficult time maintaining sleep due to noise. Contributors to that noise included the sound of heels, portable xray machines, and beeping from IV pumps. Also notable are the sounds the nurses make as they pulverize pills (with what sounds to me like giant rock to put them down a feeding tube), and communicate with other nurses during shift change. Interestingly, the quest to make hospitals more hospitable has stumbled upon a device that has been more commonly used in the classroom. Enter the Yacker Tracker. This device has gained increasing acceptance among hospitals to help staff be more mindful of their noise levels. And since it can be yours on Amazon for the low, low price of about 80 bucks plus shipping, it´s much cheaper than buying quieter Xray equipment, burning up education time to remind staff to be quiet, hiring more medical assistants to deal with beeping IV pumps, providing a separate clinical area for nurses to sign out to each other, or trying to get physicians to put their pagers on vibrate. I saw this device in my own hospital a few weeks ago. I mentioned it to my wife who works in another hospital who said that her hospital has them too. They look just like a stoplight as in the picture above. 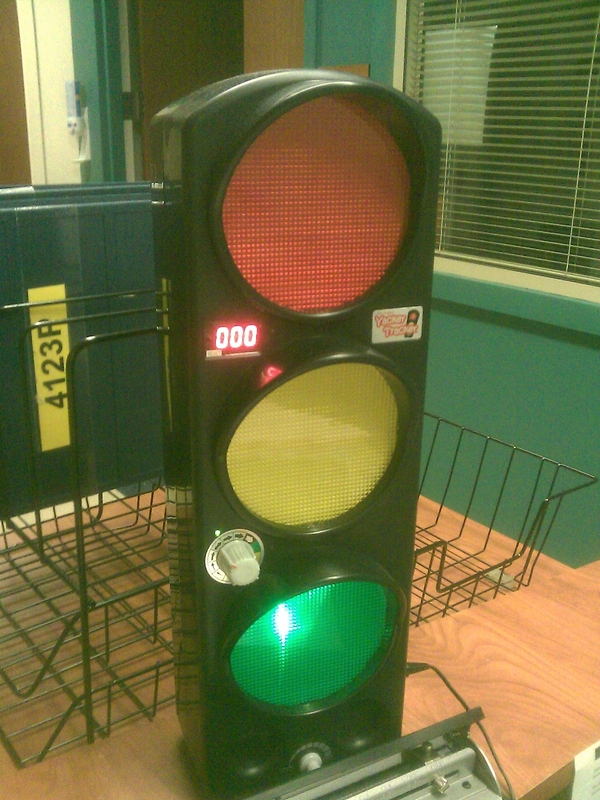 The decibel meter is set at the desired setting, as noise levels approach that level, the yellow light illuminates, and as sound surpasses the set limit, the light changes to red. The chatter in the hallways of my hospital is that the Yacker Tracker appears to be useful, though not necessarily appreciated. Note that I use the term “chatter in the halls”, which is clearly more quiet than “word on the street”. . . that is, I have noticed that the area that it was placed does seem to have less vocal noise than other areas. Previous PostPrevious Healthcare Armageddon 3: Washington Argues Over Grandma’s New Shoes.